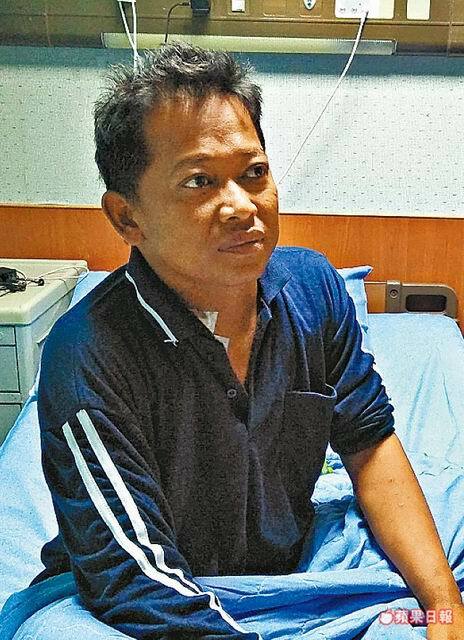 An Indonesian fisherman who traveled to Taiwan last year but became sick a month later has been sacked by his employer after being diagnosed with a severe renal problem. The condition requires him to go on dialysis three times a week on a permanent basis. The worker named Martin, who entered Taiwan on October 3 last year, was admitted to a local hospital after falling sick on a vessel on November 12, according to Allison Lee from the Yilan Migrant Fishermen’s Union (Serikat Nelayan Migran Yilan, YMFU), the Taiwan Apple Daily reported. Due to language barriers, the worker only knew he was about to be sent back home, but had not been informed he had uremia – a serious and chronic kidney disease, plus acute renal failure. Lee, who visited the man on November 23, was shocked to find he was taken away by an employment agent the next day and sent back home on the third day. He was reportedly only paid NT$1,089 (US$35) in compensation. Lee filed a complaint to the Ministry of Labor’s Yilan office and the National Immigration Agency, saying a sick worker had been inappropriately dismissed and repatriated. Yet the official reply argued that her claims were invalid, as the case had been followed up and handled in accordance with the law, and the worker was found to have given written and voluntary consent to be sacked and sent home. It said the authorities would take action if the alleged agent was found to have violated any law. Lee, nevertheless, argued that the Ministry’s Yilan office had worked slowly and failed to protect a vulnerable migrant promptly.